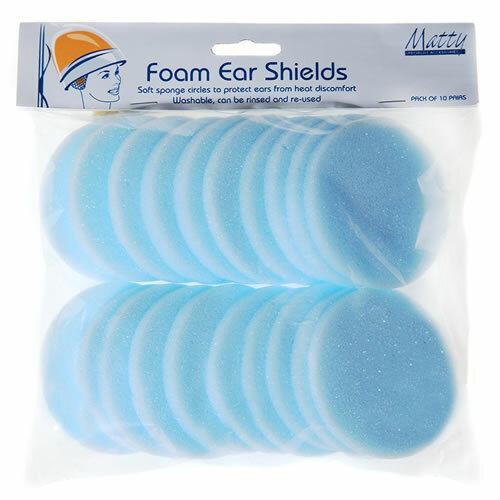 Soft sponge circles designed to protect your clients' ears from heat discomfort while under your hood dryer. Matty Foam Ear Shields are washable, so you can rinse and reuse. £2.88 (inc. VAT) Why no VAT? We're a trade wholesaler and quote our prices without VAT to help our VAT-registered customers understand the true cost of a purchase. Pack of 100 bonnet-style disposable heating caps for use in perming.